Gary Cerio is an associate in the San Francisco office of Lewis Brisbois and a member of the General Liability Practice. He has an undergraduate degree in Accounting and attended the University of San Francisco School of Law where he was the business manager of the law school newspaper. In his general liability practice he has concentrated in the areas of products liability, including the defense of manufacturers of automobiles, medical products and pharmaceuticals, industrial and retail machinery, and construction and recreation equipment, professional liability, including the defense of lawyers, health care providers, accountants and real estate agents, toxic tort, asbestos and silica litigation, and personal injury matters. He also has substantial experience in premises liability, motor vehicle and employment-related litigation. 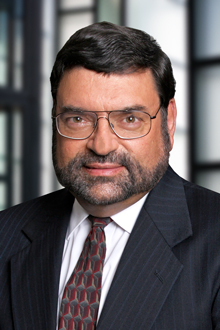 Gary has extensive experience litigating all phases of cases, including handling pre-litigation investigation, pleading and motion practice, written discovery, fact and expert depositions, and settlement negotiations, with trial experience in both state and federal courts. He is committed to providing comprehensive and effective legal representation to his clients.